New book, 58 pages, 162 photos. 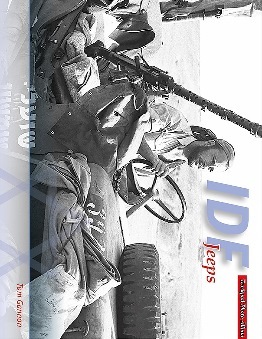 This album tells the story of the Jeep in Israeli service from the very start of the State of Israel, and even before. Carefully researched and detailed captions put the photos in their historical context. When did the Jeep appear in Israel? The British brought them in, to be followed by deliveries from overseas, as Jewish acquisition teams traveled the globe. Both before and after Independence, these teams managed to acquire weapons and vehicles from everywhere. It details all types of Jeep including Willys MB/Ford GPW, CJ-2A, CJ-3A, M38, CJ-5, M38A1, M170, M606 and CJ-3B.